Thu., June 7, 2018, 10:11 a.m. Lawmakers from both houses and both parties agreed Wednesday that Idaho needs a special legislative session this summer to deal with a long-simmering water rights fight in the Treasure Valley. Only the governor can call lawmakers back to Boise for a special session; a joint interim committee voted unanimously to send Gov. Butch Otter a letter requesting that he do just that. Otter, who was traveling in eastern Idaho, had no immediate comment on Wednesday. One of the major functions of the reservoir system is flood control. 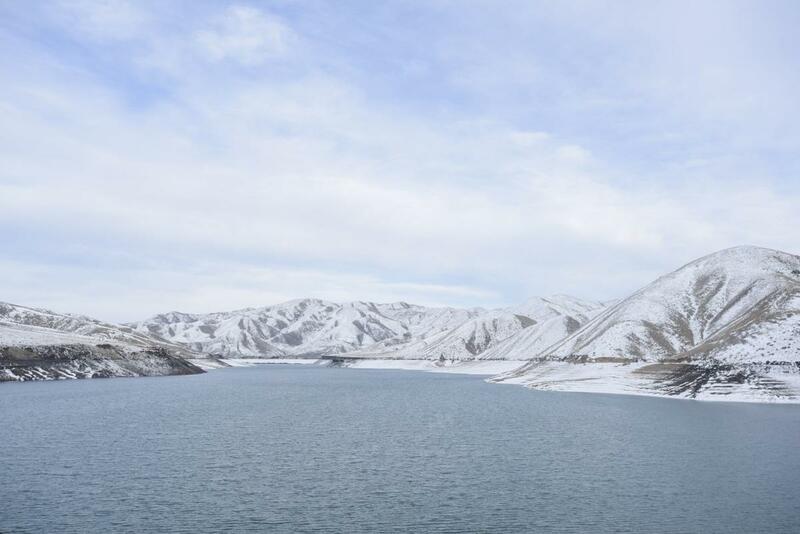 The federal Bureau of Reclamation does that — it releases water from the reservoirs as the snow melts off the mountains, to make sure there’s room for all the runoff. But under Idaho law, holders of senior water rights in the reservoirs could see their water dumped early in the spring — long before they need it — because of flood-control needs. Those water users want guarantees that they’ll get their water later in the season, when the reservoirs fill back up. “How do you ensure both fill of the reservoir and flood control? Well, you provide a water right that allows and recognizes the fill of the reservoir,” Barker said. Water law in Idaho gives priority to those who have held their water rights the longest, under the prior appropriation, or “first in time, first in right” doctrine. So making any changes in the rules can cause huge ripple effects among various classes of water rights holders, from cities to farmers to the federal government. Four years ago, when similar issues were raised in the Snake River Basin, a settlement was reached to allow for refill. That’s been harder to achieve in the Treasure Valley, as multiple contested cases have wound their way through courts, administrative appeals, cross-appeals and more; a major set of appeals is currently set for oral arguments at the Idaho Supreme Court on June 20. Bedke said he determined that there were three concerns among the various parties in the Treasure Valley that were holding up a settlement of the refill issue. All were about future possibilities: Something that would move water from the Treasure Valley out of the basin; major aquifer recharge projects, which can use up large quantities of water; and new water storage projects, such as raising Arrowrock Dam or even building an additional dam. None of those are actually in the works, though the Arrowrock idea has been discussed. Working with lawyers on all sides, Bedke said the parties determined that the first two concerns could be addressed under current law, through applications for decrees to the state’s water court. The third, about new water storage projects, requires a change in state law. So draft legislation was put together saying that applications for big new water-storage projects should have lower priority for water rights than existing rights for water in reservoirs. Sen. Michelle Stennett, D-Ketchum, the Senate minority leader, wondered how the change would impact other parts of the state, and questioned “what the urgency or the emergency is here” to justify the time and expense of calling a special session of the Legislature. And when he asked about the time and costs involved, the estimates were that the issue would probably take another three years to flow through the court system, and cost the parties on all sides another $1.5 million — roughly equal to what they’ve spent so far. House Majority Leader Mike Moyle, R-Star, said the issue affects roughly half the state’s population, and impacts farmers, cities, fisheries and more. Bedke said a special session — which could be as short as a single day, and would be limited to just this issue — would include full public hearings and debates in both houses. When Moyle altered his motion to supporting the concept and recommending a special session, every member of the joint panel supported it. Idaho Water Resources Director Gary Spackman said late Wednesday that suggestions that his department has signed off on the plan “went a little beyond where I’ve agreed to be.” While he’s not opposing the legislation, he’s also not supporting it at this point. “I think there needs to be a full airing,” he said. The Idaho Attorney General’s office had no comment. Bedke said the legislation isn’t the only way the dispute could be resolved — but it’s the one that, after years of dispute, all sides are settling on. “The negotiations have led us here today,” he said. Published: June 7, 2018, 10:11 a.m.